Designed by Deere & Company and licensed to Springs Creative Products, this cotton print fabric is perfect for quilting, apparel and home decor accents. Colors include green, blue, yellow, black and grey. 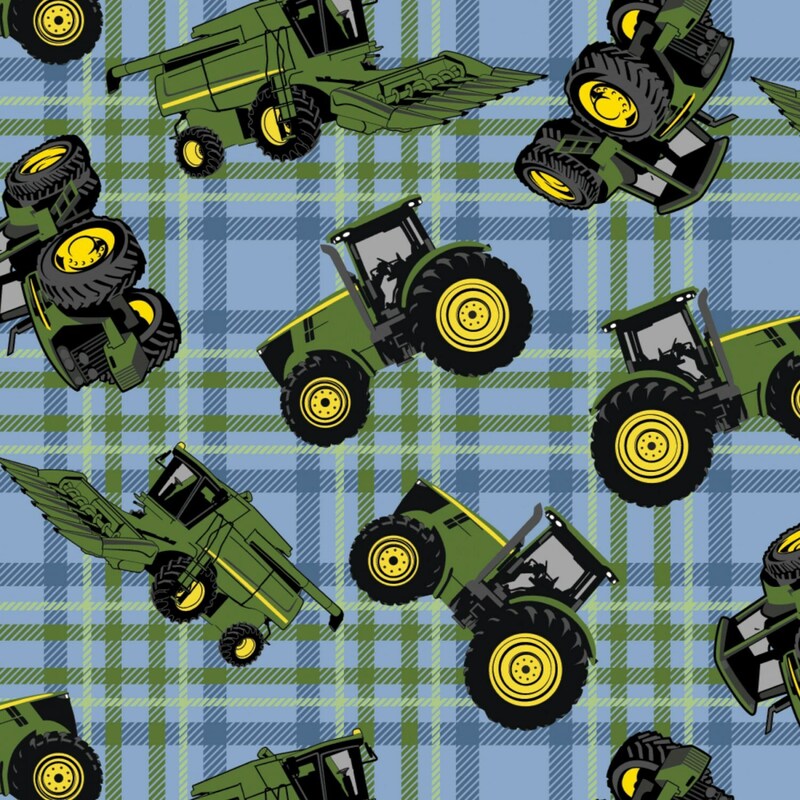 What little boy or girl wouldn't want to have this fun John Deere Children's Fabric in a quilt or to decorate their bedroom. John Deere has issued such a great line of fabrics, so much to choose from. Order your fabric today and finish your fun John Deere Quilt. All fabric from The Quilted Nursery Children's Fabric Store is cut directly from the bolt and sold by the yard. If you require special yardage please contact us and we will be happy to accommodate your request. All purchases are shipped same day! This fabric was just what I was looking for! Awesome fabric and quick shipping! !